Striking, 5-1/2" flowers have a scarlet-red self with a yellow throat. Their fiery, warming colors emulate the heat of the summer months and recall romantic nights gathered around a roaring campfire. 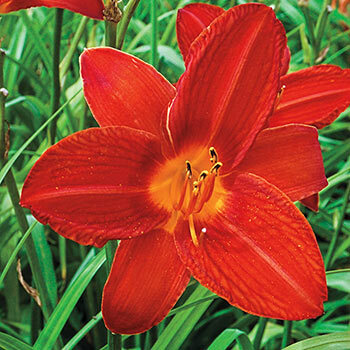 The brilliant blooms, lush foliage and ease of maintenance make this daylily ideal for any planting of mixed perennials. Use it for covering a bare spot in the garden, sprucing up a slope or adding floral interest along a fence or wall. 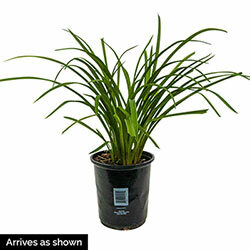 To help you before your next big cookout, we're shipping Campfire Embers Daylily now, ready to plant.